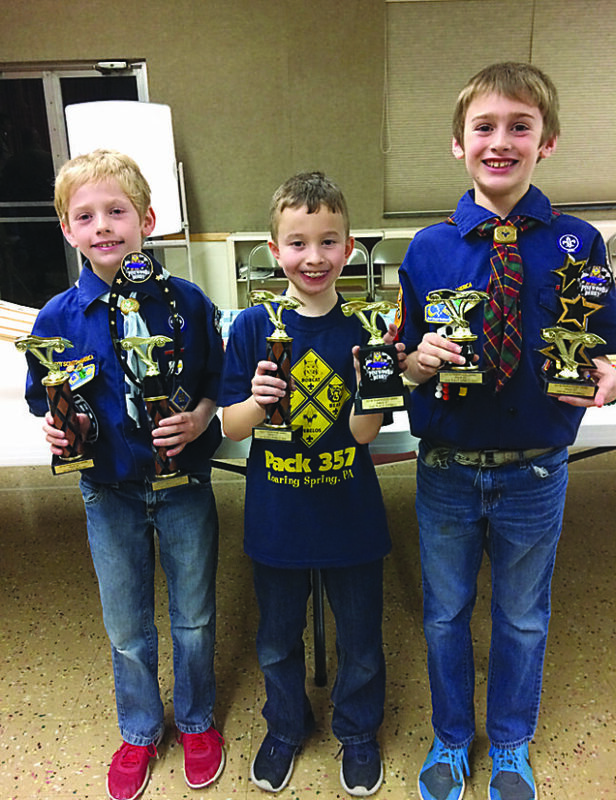 Courtesy photo Cub Scout Pack 57 of Roaring Spring held its Pinewood Derby at the Trinity United Methodist Church in Roaring Spring on Jan. 20. The overall winners moving onto the Chief Logan District Pinewood Derby at the Logan Valley Mall on May 19 are Jacob Heuston, Bear Den, first; Bailey Wilt, Webelo, second; and Christian Heuston, Webelo, third. 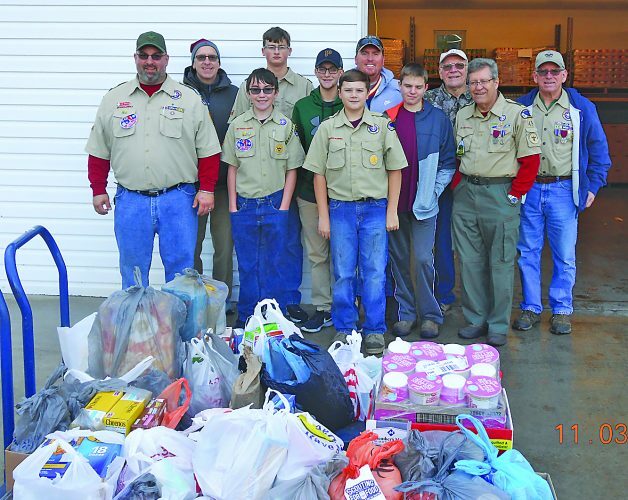 Cub Scout Pack 57 of Roaring Spring held its Pinewood Derby at the Trinity United Methodist Church in Roaring Spring on Jan. 20. The overall winners moving onto the Chief Logan District Pinewood Derby at the Logan Valley Mall on May 19 are Jacob Heuston, Bear Den, first; Bailey Wilt, Webelo, second; and Christian Heuston, Webelo, third.